The wayfarer’s trail is a natural, historical route along the shores of the eastern branch of Lake Como. Enjoy a unique experience! The wayferer’s trail is an ancient route to countries beyond the Alps, approx. 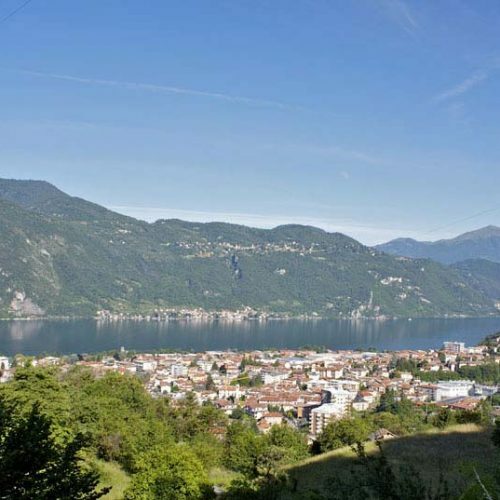 40 km length, along the eastern branch of Lake Como, ascending from Abbadia Lariana, going through many municipalities (Mandello del Lario, Varenna, Bellano, Dervio, Colico) until reaching Piantedo in Sondrio province. 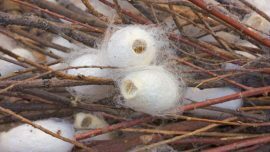 You can experience it in stages and discover natural and architectural beauties, it is recommended to use proper excursion outfitting. It’s not demanding, except for some rises allowing you to enjoy extraordinary views on Lake Como and surrounding mountains. Spring and autumn are the best seasons to enjoy it due to the favorite climate, even in sunny winter days you can have pleasant moments walking on. 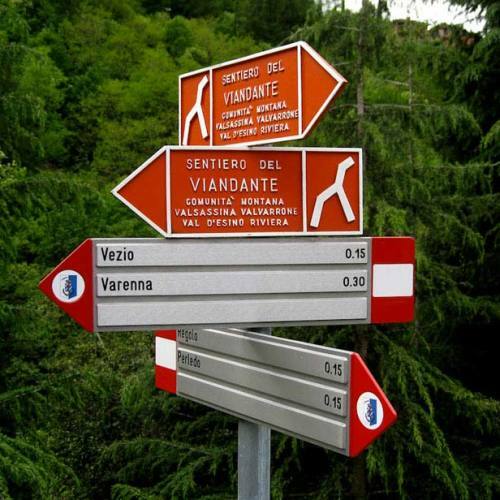 The wayfarer’s trail is characterized by orange signs along the path and offers you the most attractive and evocative settings of Lake Como, together with its rich vegetation, particular geological features as well as architectural elements such as historical building, churches, hamlet and farmstead. We suggest you 4 stages to enjoy the trail. You start the wayfarer’s trail from the Church of San Martino, approximately 400 meters south off the railroad station of Abbadia Lariana. From here you take the path along the hamlet of Borbino and Robianico (districts of Abbadia) crossing firstly the church of San Bartolomeo, the district of Novegolo, untill you reach the church of San Giorgio in Mandello del Lario, whose origins date back to the ninth century. Now the path goes on and rises to the district of Maggiana, where you can admire the Tower of Frederick I, called “red beard” (Federico Barbarossa), then enter into the woods to reach Rongio and go down to Valle Meria to then rise again to Sonvico. 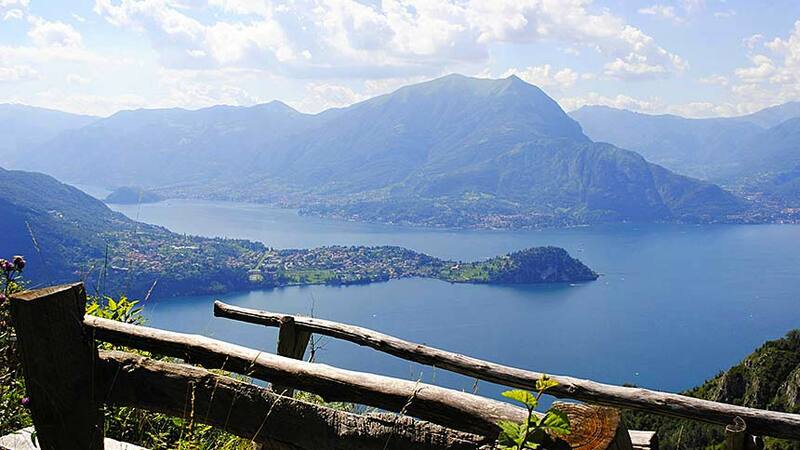 Along the path to Galdano you can enjoy an extraordinary viewof Olcio and Lake Lecco. 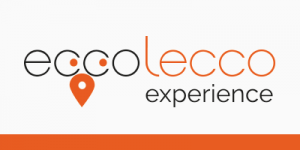 For a short part you have to walk close to the highway in direction to Sornico and Olgianico before finally arriving to Lierna. In Lierna you have two possibilities to enjoy the second stage of the wayfarer’s trail: go down to the lake and take the ancient via Ducale (bottom path) or go up the mountain (top path). 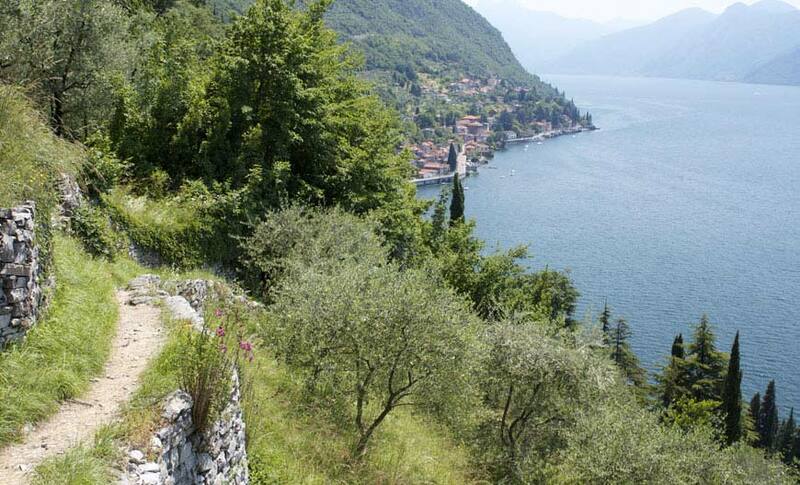 Both the paths eventually join again in Varenna and are quite challenging. 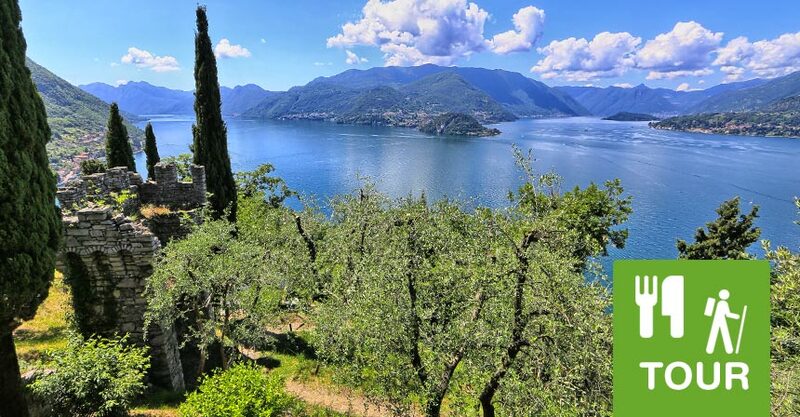 The bottom path hosts the hamlet of Castello di Lierna and Fiumelatte, with its short creek mentioned by the genius of Leonardo da Vinci, while the top path rises to the plans of San Pietro offering extraordinary views on Lake Como. It runs close to the lake walking from Lierna to the evocative hamlet of Castello di Lierna. Here you cross the provincial road and rise on a staircase to Ronco, where the path to Coria begins. This is the highest part of the bottom path. Here you go on walking into Valle Vacchera and then down to the lake. There’s a walking part close the provincial road before going up the hill until reaching Fiumelatte sources and then arriving to the beautiful town of Varenna. 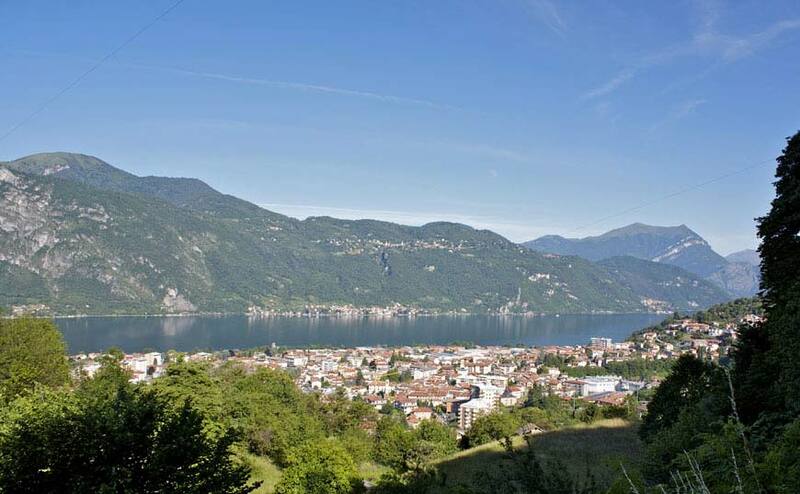 From Lierna rise to Genico and walk into the woods going up the hill until you reach a panoramic point, where you can enjoy an extraordinary view of Lake Como and the surrounding mountains. Then go on along the path, now easier, in direction of Alpe Mezzedo, where an ancient ice-house is visible. Going on rising to the plan of San Pietro, top of the ascent, you can really be fascinated by one of the most evocative panorama of Lake Como. 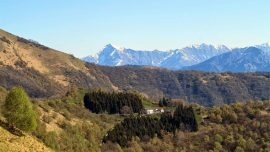 On the way to Ortanella, bypass Monte Fopp and then go down along the ridge to Colle di Vezio, firstly on the road accessible by vehicles and then on the path until you reach the Castle of Vezio, where the itinerary crosses the bottom path. From here a steep mule-track takes you to Varenna. 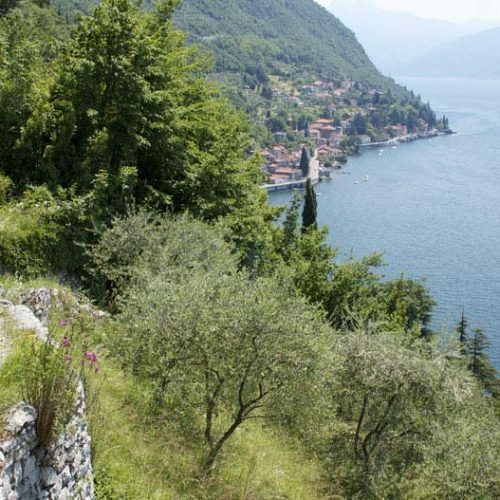 From the suggestive hamlet of Varenna take the path going down to the creek Esino and go on to the ancient bridge, then rise to Regolo where you have to take the continuing path, firstly paved then dirt. 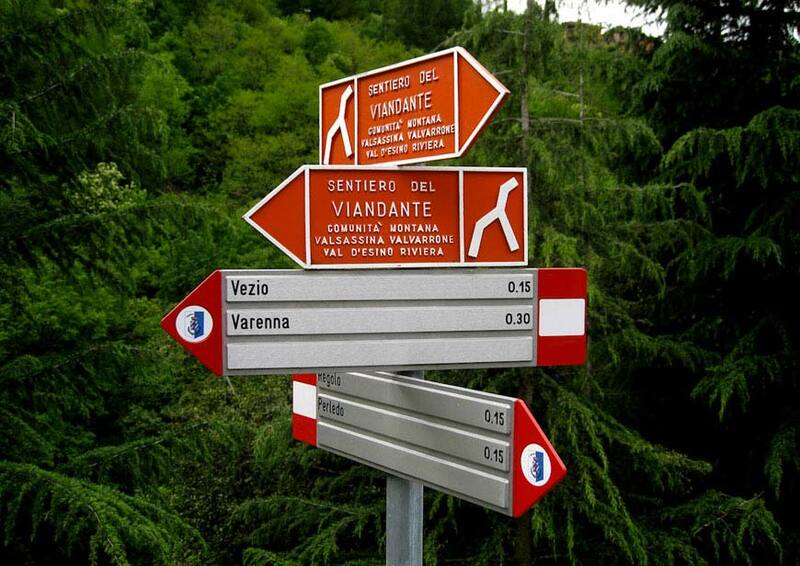 Go on to Valle Masna, crossing the Woods of the Witches and then to Fabbrica. Here the path goes down to Bellano, after having run along the Chapel of Madonna Addolorata. Cross the bridge on the ravine and keep on rising to Ombriaco, reach the Sanctuary of Lezzeno, then proceed to Oro and Dervio. Rise from the bridge on the creek Varrone to the hamlet of Castello and then continue on the paved road. 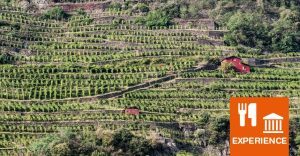 Run along an ancient monastery and rise to Corenno Plinio, an evocative hamlet on the eastern branch of Lake Como. 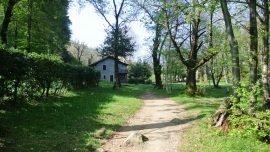 The path remains on the hill and drives you to Torchiedo and then Mondonico, an ancient farmer village, where you take the path rising to San Rocco, where you can enjoy a wonderful panoramic point of Lake Como. 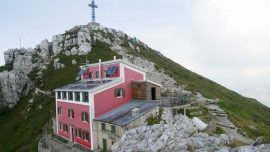 The ascent proceeds on the slopes of Legnone mountain, to Perdonasco mountain, Sparese mountain and the Church of Madonna dei Monti, then gently begins to go down until it reaches Posallo, along a dirt road. Cross Rio Perlino and rise to another church dedicated to Saint Rocco, pilgrim saint, then go down to the creek Inganna. From here you can decide to rise and visit the Tower of Fontanedo, or otherwise go down to Chiaro, Chiarello and Curcio. 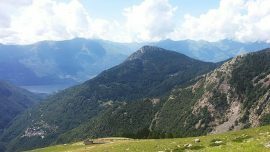 As soon as you have overpassed the border between Lecco and Sondrio, the last stage of the wayfarer’s trail ends at the Sanctuary of Madonna of Valpozzo. 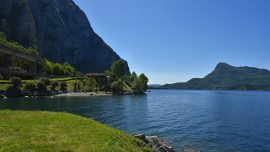 Live the spectacular Lake Como in a different way: walk along the ancient path where in the past wayfarers walked from Milan to Switzerland. Our local guide will tell us the history and the secrets of these places and the tradition will explode in our palate with a delicious lunch at a farmhouse, where we taste exquisite local cuisine and local wines. Enjoy vineyards overlooking Lake Como during your lunch. Great walk, great food and wine, great experience.